When Peter Landon founded Landon Architects in 1987, he was on the front line of social change. Rather than focusing on high-end homes, he intended to design housing for segments of the population generally overlooked—individuals and families whose economic status dictate their lifestyles and surroundings, and who generally don’t have the luxury of choice. 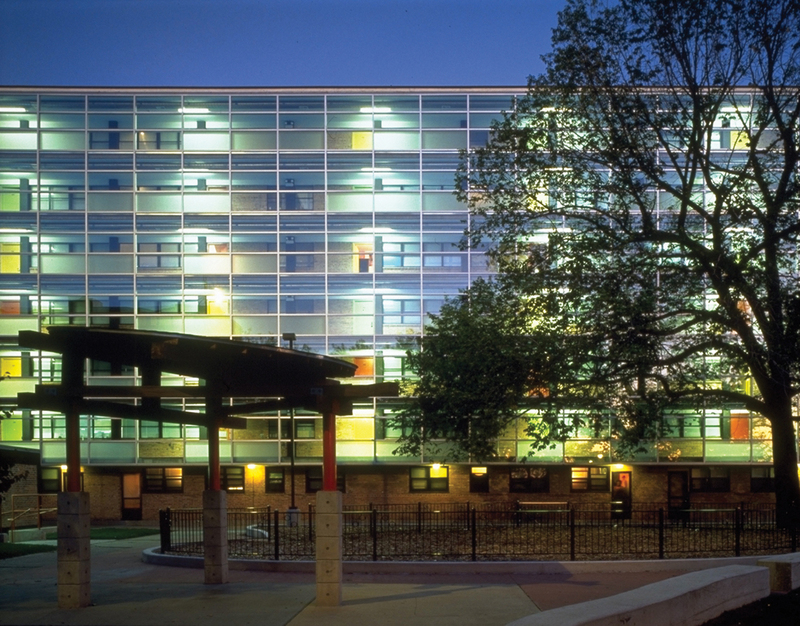 As the firm built its early portfolio of both public and private housing, it was exposed to clients with varying capacities, a wide range of resident expectations and needs, and challenging, yet exciting, urban conditions. The firm found common ground where none was thought to exist and defined a visual language that can be shared by all. The work resonated with a sense of social equality and economy of means—a willingness to take risks to find an appropriate architectural response. 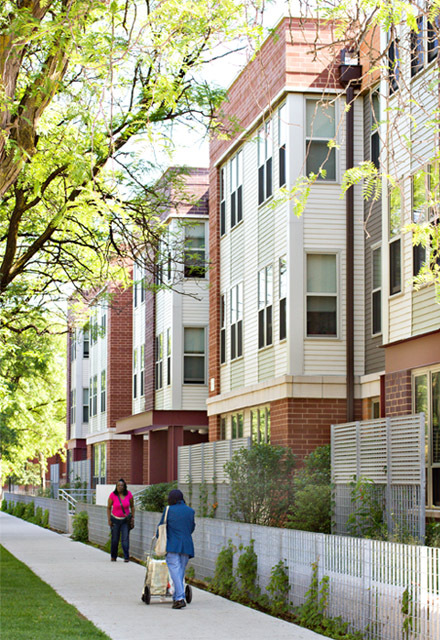 When gentrification in Chicago swept northwest and pushed affordability southwest, the mission grew stronger to provide architecturally significant, yet affordable options to as many people as possible. 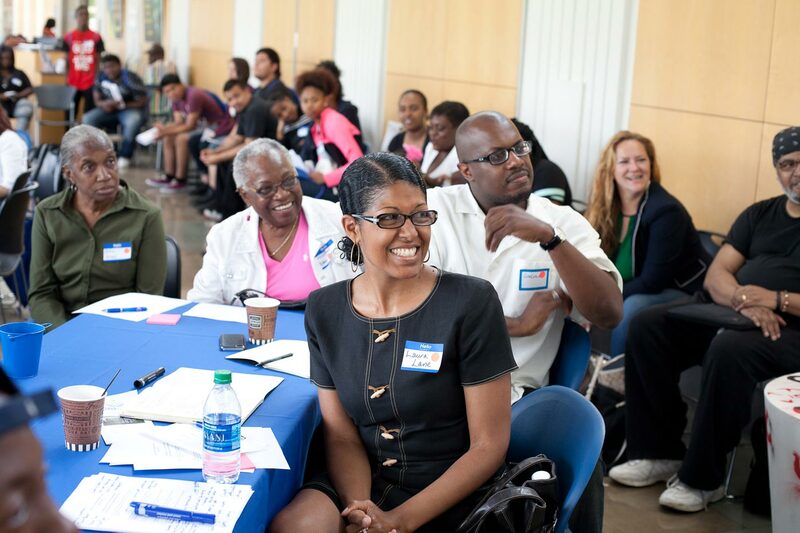 Across Chicago, in areas like Roseland, Lawndale, West Humboldt Park, Chinatown, and Uptown, the firm built close connections with community residents, activists, and organizations, and set the standard by which public housing was measured in Chicago. An expertise in housing and sensitivity to neighborhood issues allowed the firm to expand its portfolio into large-scale neighborhood planning projects. The firm became a leader in the redevelopment of some of Chicago’s most notorious public housing projects, such as Legends South (Robert Taylor Homes), Westhaven Park (Henry Horner Homes), and, most recently, Parkside of Old Town (Cabrini Green). Familiarity with community development programs, codes, and financing options helped the firm further develop a framework for “best practice” design and construction. Today, Landon Bone Baker Architects is still working with many of the same clients to build healthy communities across Chicago. It’s made our projects more complex, and also more rewarding. What we bring to the table is not only excellent architectural work but also responsibility for a positive impact on the community. Landon Bone Baker Architects strives to create a model for the architect to act as a leader in shaping our communities. What really sets the building apart, however, is its attention to human experience, which is by turns clever and empathetic."